FERROVIAL FORECASTS THE EVOLUTION OF ITS BUSINESSES FOR 2018, AS WELL AS THE MAIN MARKETS IN WHICH IT OPERATES. THIS FORECAST IS MADE BY DEVELOPING THE STRATEGY, OPPORTUNITIES AND RISKS ANALYSED IN CHAPTER 1.2 OF THIS INTEGRATED REPORT. The predictable behavior of the toll roads in operation during 2018 will depend on macroeconomic developments in the countries or states where the assets are located and their impact on traffic volumes and revenues. The company will continue to focus its efforts on maximizing revenues within the framework allowed by the concession rights, as well as in fulfilling its contractual obligations by optimizing costs. In Canada, the 407 ETR will continue to develop its Strategic Plan in 2018, increasing knowledge about user behavior through Big Data techniques. This increased knowledge will lead to greater pricing sophistication and price plans to continue optimizing the company’s income. This pricing policy will continue to be supported by excellent customer service, for which the company will continue to invest in new systems in order to maintain and improve the high levels of user satisfaction reached in 2017. In the USA, the positive economic outlook in Texas for 2018, as well as the behavior to date of the assets, allow us to trust that NTE and LBJ will have growth in traffic and revenues that help meet the forecasts while complying with the user satisfaction objective. 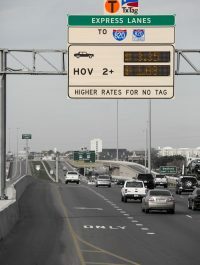 Additionally, the opening of segments 3A and 3B of toll road 35W in Fort Worth will consolidate Cintra as the operator of Managed Lanes in the Dallas-Fort Worth region. In North Carolina, the opening of toll road I-77, the first Managed Lanes toll road in this state, will validate this concept as a solution to the problems of congestion in urban corridors. In Australia, work is planned to start in 2018 on the recently awarded Western Roads Upgrade project in Melbourne, as well as continuing with the Toowoomba works. In other markets Cintra will continue to operate the assets that are already in the operation phase and will continue with the execution of several projects in the construction phase: 407 Extension II, in Canada; Ruta del Cacao, in Colombia; and D4R7, in Slovakia. In addition, Cintra will continue its bidding activity in the company’s target regions (North America, Europe, Australia, New Zealand, Colombia, Chile and Peru), focusing primarily on complex greenfield projects, given their high potential for value creation. Heathrow will continue with the construction process of the third runway, which should be approved by British Parliament, together with different stakeholders (airlines, regulators and communities) in such a decisive contribution for the British economy. Regarding the next H7 regulatory period, the Civil Aviation Authority has confirmed that a RAB-based remuneration model and single till will continue to be used, and the consultative process on capital cost, inflation indexation or cost of debt will continue, among other issues. AGS will continue to invest in increasing the profitability of airports by expanding and improving the shopping area in Glasgow and Aberdeen, stimulating passenger growth through new routes and commercial revenues, as well as continuing to improve operating costs. Denver, whose remodeling works at the Jeppesen terminal will begin in the second half of the year. The bidding activity at airports in 2018 will focus mainly on the North American market, with the opening of a new commercial office in Austin to improve the knowledge and needs of this market and strengthening the competitive advantages of the company. The bidding activity for electricity transmission will focus on Chile and other countries in South America. In Spain, despite the economic improvement, it is not expected that sales in 2018 will grow due to stagnation in public tender and high competition, not offset by the improvement in private construction. The order book in 2017 has fallen due to a selective contracting approach of the company, prioritizing profitability over volume. Future improvements are focused on the tendering of concessions from the Extraordinary Plan of Investment in Roads of the Ministry of Public Works in 2018. In the USA and Canada, investment in transport infrastructures with federal support is significantly increasing, including the PPP / Design-Build-Finance projects in which Ferrovial, and Ferrovial Agroman as a constructor, are leaders. The approval of the USA Fast Act in 2015 and the Canadian Federal Infrastructure Plan in 2016, as well as the increasing budgetary contribution of states and provinces, will continue with large recent awards to Ferrovial Agroman for both PPP projects (e.g. toll road I-66 in Virginia) and with public financing (e.g. toll road SH-99 Grand Parkway, Texas). The positive execution rate of the order book and the high level of contracts in 2017 will allow sales to increase in 2018. In Poland, the public tender has returned to a good level in roads and railroads associated with the European Funds 2014-20 framework, and an extension in the provision and term of the long-term plans in these sectors has also been announced. It is expected that in 2018 Budimex will continue its growth due to its high order book at the end of 2017, with large contracts such as the Lagiewnicka toll road and six railroad works. In the United Kingdom, despite the uncertainties of the Brexit, political willingness continues to promote large works from the infrastructure plan, including several PPPs in 2018. Likewise, in Australia, the strong pipeline promoted by the Government’s Infrastructure Plan is maintained. Despite the above, sales for 2018 in these markets will not grow compared to previous years due to lower contracting in 2017. The company has an important future pipeline in Latin America (Chile, Colombia and Peru) and in certain one-off OECD countries with projects of interest and leading local partners. In summary, a growth in sales is expected for 2018 thanks to the international area, with good contracting opportunities. Finally, profit margins are expected to remain stable, in line with those of 2017, thanks to a selective portfolio with globally controlled risks and continuity in the strategic discipline of project and country selection. In the United Kingdom, it is foreseeable that the uncertainty about the pace of economic growth and investment in the country will continue as the Brexit implementation scenario becomes clearer. In this transition context, Amey will continue to work on improving its cost structure and its operational model. Additionally, with respect to the Birmingham City Council litigation, the company will negotiate with the city council on how best to enforce the judgment and will evaluate how to affect the solution to the future profitability of the contract. Macroeconomic prospects in Australia and New Zealand, reinforced by the increase in commodity prices, are positive. The portfolio of service projects identified in Broadspectrum’s activity scope exceeds 30,000 million AUD. Broadspectrum has begun a new stage of growth in its activity sectors (transport, government/defense, urban infrastructure and natural resources) supported by the launch of new projects such as OSARS West. Regarding margins, 2018 will be a year of transition, not having the contribution of the Manus and Nauru contracts and implementing the rationalization measures for structure and contracts defined in 2017. Spain will continue its improvement in terms of growth and employment. Within this stable framework of activity, Ferrovial Services will continue to combine the optimization of its operations with the development of a range of high added value services by integrating technology and innovative business models in fields such as urban mobility. In the other countries, Ferrovial Services Internacional will consolidate its new organization and geographical presence with expected growth in all its markets. In the United States and Canada, the start-up of its strategy to develop its target sectors such as the maintenance of transport and energy infrastructures will begin.